Hula Hoop artist. Stilt artist. Dancer. Performance art. Visual artist. Producer. Teacher. Hula hoop artist since 2006. Performing private events, art festivals, music festivals, circus festivals all around the world. 2012 Urban Abstraction- collaboration with Canadian choreography Rebecca Halls. These are all very my style of hooping. I don´t do traditional hula hooping, I combine more contemporary dance, story telling, quirky moves, art. 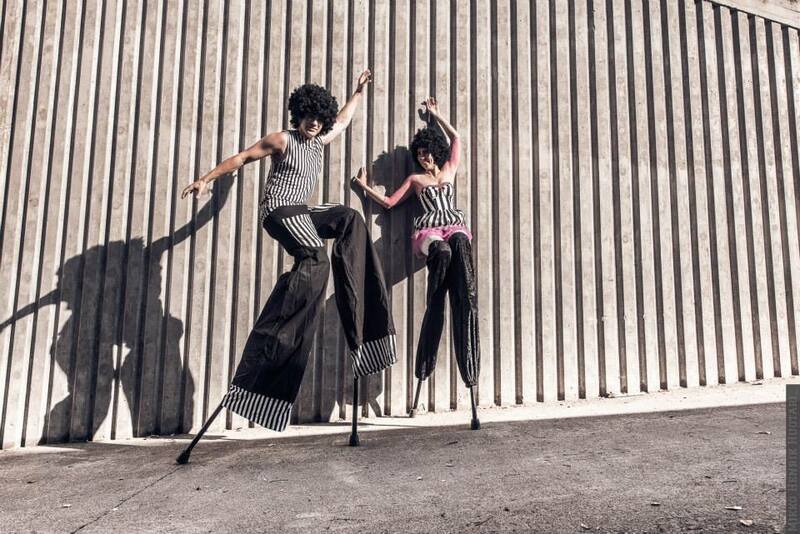 Founder of stilt duo Popova Stilts. Performance art and walkabouts. Founder of the New Circus Centre Sirkus Faktori. We organizing artist recidencies, events, open training space for everyone, workshops for professional artists. GROWTH - KASVU is story about personal growth, as an artist but also as a person, three women telling them story, using them own instruments, Hula hoop, Guitar, Electronic music and Balls. This piece is 35min long and it´s include live music, circus tech, contemporary dance, parts of improvisation and choreography. Installation combine dance, hula-hoops, visual art, soundscape, video art and an audience. I make traces with hoops and body. It can be live performance, exhibition, workshop or all of these. So I have done many mixed things. Beside performer and I´m also teaching dance and hula hoops all around the world, how to move and create performnaces in creative ways. I organized three days hoop event in India 2014. I´m doing volunteering work such like offering free Hoop jams for everyone in Tampere since 2011 and I´m founder of New Circus Space Sirkus Faktori 2017, we are offering free space for everyone to practise circus.